Honestly, I don’t know. These lovely flowers are in my neighbor’s garden. The purple color is so deep and beautiful. 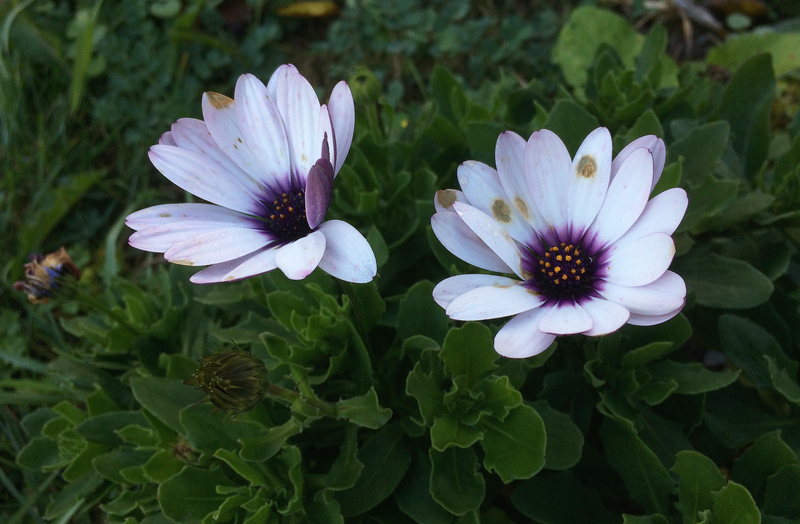 They look like Osteospermums so we will stick with that one. Such pretty delicate looking flowers and great picture. That purple is indeed rich and beautiful, isn’t it? Nicely captured!